C'mon! Guess who I am! Yaxley is here to tell y'all to have a happy and safe Halloween. He's dressed up, can you tell who he is? Really? 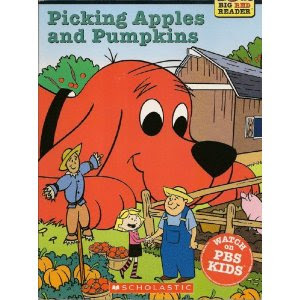 He's Clifford the Big Red Dog, of course. 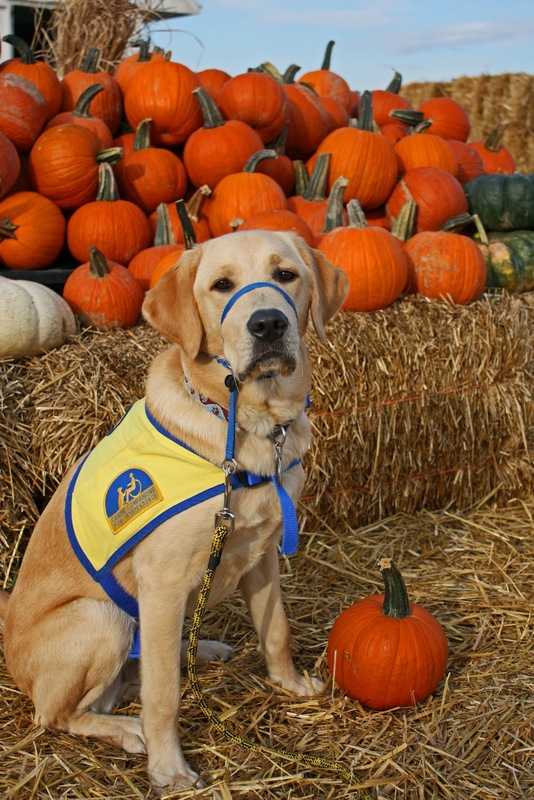 Sure, if Clifford were a strikingly handsome yellow lab/golden cross and was in training to be a service dog. But just look how huge Yax is next to that pumpkin. Play along now so we don't hurt his feelings. He actually thought he was a ferocious, punkin' eating T Rex, but I told him his arms were too long to pull that one off. I actually do have some fun Halloween related photos to share with you later. But as soon as the Husband finds out I'm just lazing off downloading photos and not cleaning up the computer room like I said I would, well, that's just gonna delay the blog posting for a bit. You know what? Here's my opinion on this whole thing. In keeping with the macabre Halloween theme, some day when friends and family are standing by my tombstone, I don't want them to say, holy cow she sure kept a clean house. I'd rather hear something like, yeah she was a little weird, but she made me laugh. Ugh, the Husband's not laughing right now. Alright, alright. Off to do an arm swipe across the computer desk to maintain domestic harmony. I'm with you... I'd rather be remembered for being entertaining than for my clean house. But I guess it's a necessary evil sometimes.